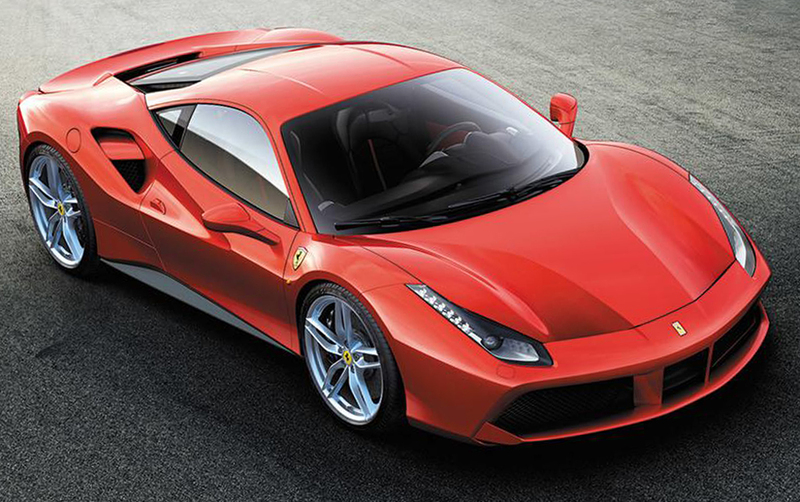 Ferrari 488 GTB guarantees a thrilling experience to lovers of extreme performance. It is fit even for everyday use and by non-professional drivers. 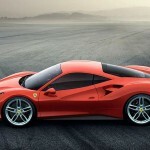 The car runs on the V8 3902 cc turbo engine which is topmost in the class, considering its terrific performance. 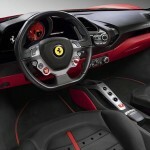 At 8,000 rpm, the engine delivers a whopping 670 cv and the maximum torque is 760 Nm – in the seventh gear. The response time is a mere 0.8 seconds at 2,000 rpm. 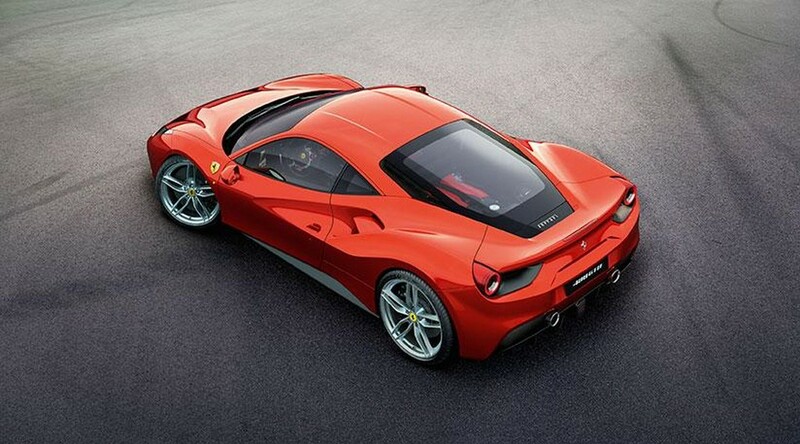 Such ingenious technology enables the 488 GTB to race from 0 to 200 km/hr in just 8.3 seconds. The lap time on the Fiorano track is 1’23’’. Variable Torque Management is present on the gearbox. 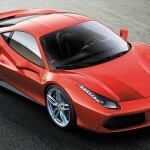 This enables the engine to deliver the outstanding torque figure and that too very smoothly. 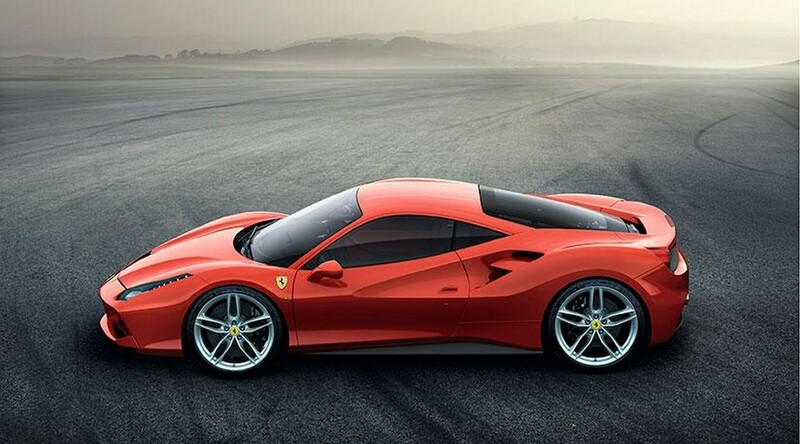 As typical of Ferrari, the car makers have put their utmost efforts to minimize the noise and create a sound which distinguishes the 488 GTB from the other models, besides being clear and full. 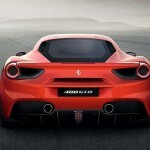 The aerodynamics do not stay behind in contributing to the car’s dynamic performance. 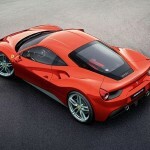 The efficiency of 1.67 has made a new record for Ferrari. 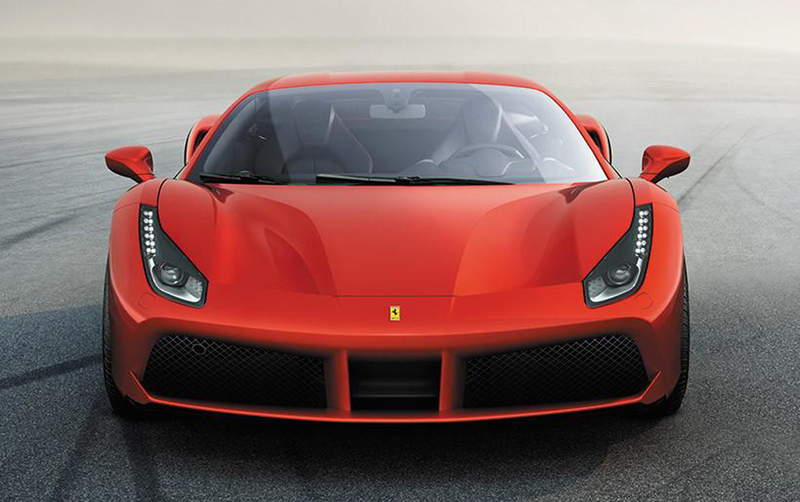 The drag is reduced and the downforce is 50% greater when compared with the previous model. 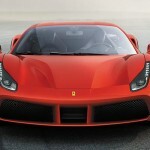 The simultaneous achievement of both these goals was the toughest challenge to the car makers. 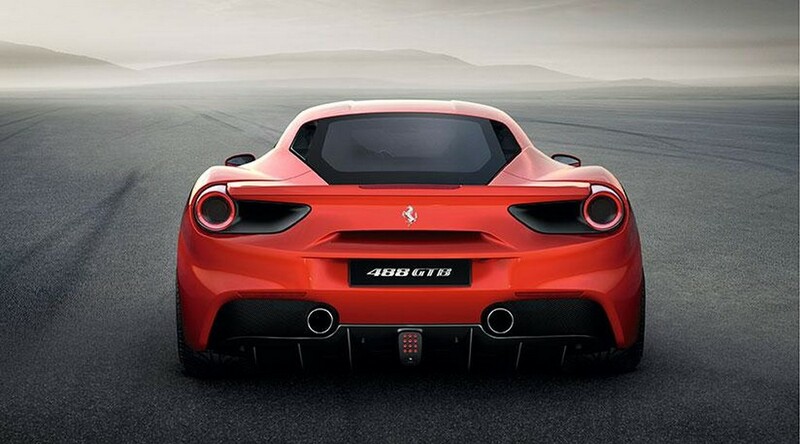 Loads of innovative technology has been incorporated for this purpose – base bleed side intakes, double front spoiler, as well as active aerodynamics & blown spoiler in the rear. The highly complicated underbody features vortex generators. The interior has newly designed satellite control clusters. The instrument panel and air vents are angled. The cabin is just the perfect balance of sporty looks and excellent comfort. 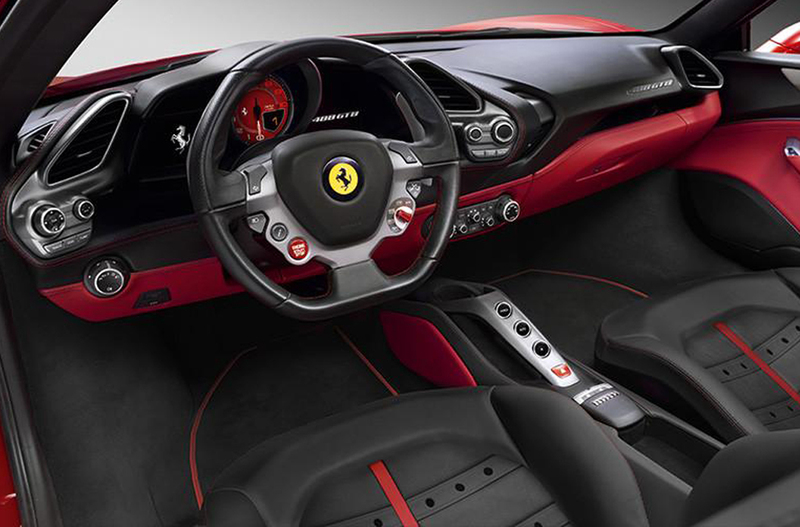 It is adorned with several of the classic styling cues from Ferrari – the clearly separated tunnel and dashboard, wraparound seats, a steering wheel that is multifunctional and also control switch bridge.